Challenge your friends or random players to a game of Draw Something! Use your fingers to make a masterpiece, and then your opponent will have to guess what you drew. If he gets it right, you both earn coins! Your opponent will then draw something and you will have to guess what it is. If you’re stumped on a word, use a bomb to eliminate letters that are not really in the word! See how many turns you can do without failing to figure out what a drawing is. Use the coins you earn to purchase new colors! In the app store, there is a free version of Draw Something and a paid one which costs $2.99. The paid version is free of annoying ads and contains over 2,500 words to draw! This app is available for the iPad, iPod touch, Kindle Fire, and most other tablets and smart phones. This hilarious, fun filled game is a great game for anyone. I HIGHLY recommend it! Both of the following links are for Kindle Fire. 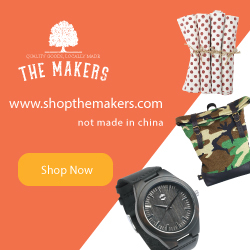 Click here for the free app. "Creative!" "Interesting!" These are the adjectives my kids used to describe our latest Schoolhouse Review Crew product, Abraham's Journey: A Celebration of the American Dream by Robert and Kathleen Basmadjian. Inspiring the American Dream presents Abraham's Journey: A Celebration of the American Dream, an inspirational story about a boy who embarks on an unexpected quest to "save" Christmas after both of his parents lose their jobs during the Great Recession. As Abraham ponders and searches for ways to make money, a wise, old man in a tall, black top hat appears on his smart phone and transports Abraham into cyberspace. During his trip, he meets several famous Americans, past and present, who help him uncover his hidden talent and share advice on what it takes to achieve the American dream. The illustrations took me back to the days of watching Hanna-Barbera cartoons as a kid. They also reminded me of the countless Scooby Doo books I read to my children, my boys especially, when they were younger. Through this imaginative story, the message is quite clear. It takes hard work, perseverance, risk, innovation, and even social media to be successful and achieve the American Dream. This message is interwoven throughout the entire book and comes in bits and pieces through several different historical and modern day icons such as Abraham Lincoln, Norman Rockwell, Martin Luther King Jr., Bill and Melinda Gates, and more. Included in the back of the book are definitions of several terms, 7 short character biographies, and author bios. Reading this book aloud to my kids, (ages 13, 11, 7) spurred us into a discussion about what we think the American Dream is all about. 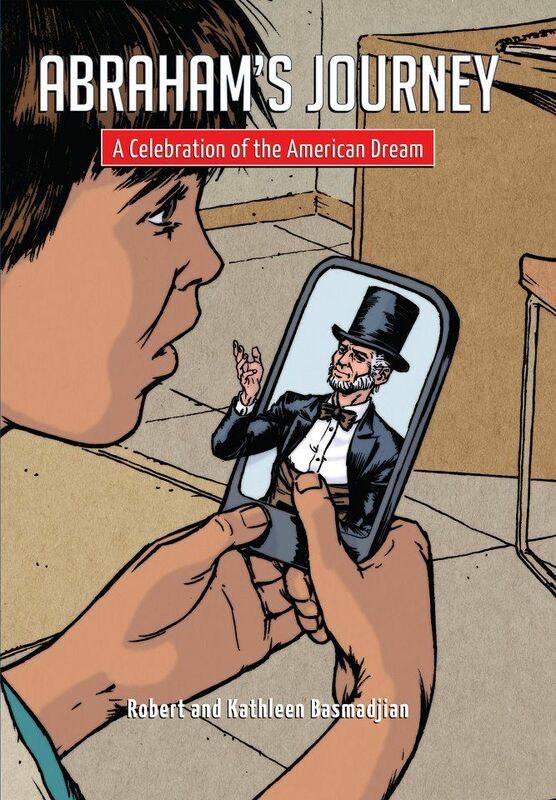 I really liked that the story included a very important aspect of the American Dream which is sharing with others. It's not just about acquiring wealth and/or fame. I think the overall message is a good one, but I went a little further with my kids. It was the perfect time to remind them that, as Christians, it's important that we are following God's plan for our lives and keeping in step with the Spirit. Following God's plan might not mean success and living the "American Dream" as we understand it. If God's plan does include financial success for my kids, then I pray they will be cheerful givers as well! If you'd like to celebrate the American Dream with your children, you can purchase the softcover book on the website for $14.99. As a read-alone book, I think it would be best for children ages 8-12. 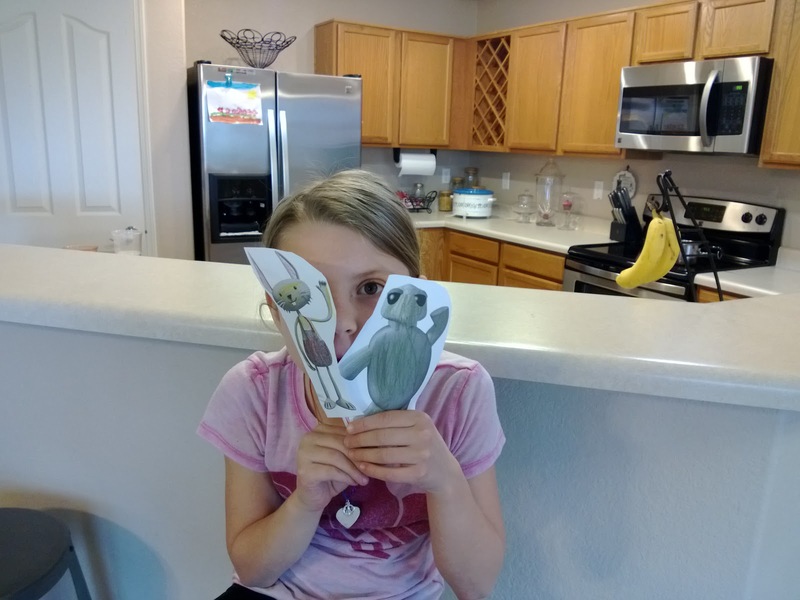 Click to read more Abraham's Journey reviews from the Schoolhouse Review Crew. My oldest child is an 8th grader. I think that truth began to sink in over Christmas break, and somebody pushed the panic button! Homeschooling younger children has always come natural to me - at least the "knowing what to do" part. With highschool on the horizon and then college (oh my), I feel as if I am losing my grip on "knowing what to do." Truth is, that uncomfortable feeling of cluelessness is washing over me. And I don't like it one bit! 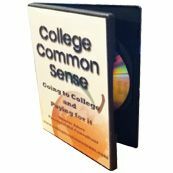 Thank goodness for the opportunity to review College Common Sense by Denise Ames. Denise has been involved in the financial aid industry for the past 10 years, so she's had plenty of experience walking students and their parents through the financial aid process. With her product, College Common Sense: Going to College and Paying for it, she can equip even more students with the knowledge and tools they need to receive all of the financial aid they possibly can. Our family reviewed the Going to College and Paying for it Online Video and Workbook. Denise talks about the three major steps to going to college, what financial aid is, and all of the different types of costs involved. She also shares information about college campus visits and how NOT to choose a college. Included in the workbook portion is a list of 20 questions to ask before applying to a college. Here, Denise shares an important key to applying for financial aid at the beginning of each year your child is attending college. It all hinges on the FAFSA. (I am glad I know about this form now.) A Cost of Attending worksheet is included in the workbook section. This video really stood out to me because we will need all the free money we can get! In this video, Denise discusses the different types of scholarships and how to find them. 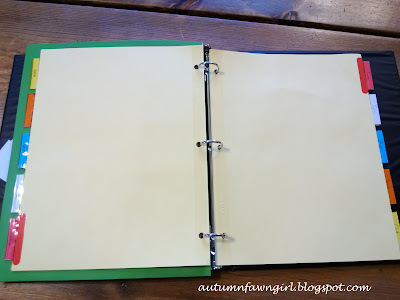 Denise explains in detail the Scholarship Binder your child will use to keep track of scholarships he's interested in, scholarships that have been submitted, and scholarships that have been won. She also gives advice on writing scholarship essays. This one is all about your child being proactive in the process and being responsible for his own future. Denise encourages your child to develop character, set goals, have a plan, and get involved! 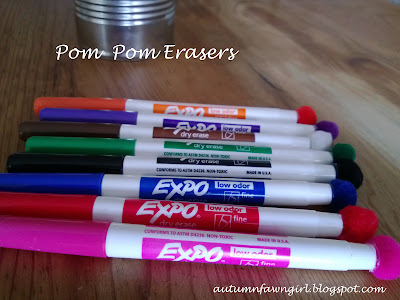 She also shares lots of ideas for students to include in their "All About Me" spiral notebooks. This last video is like a pep talk to get kids pumped about their futures, to take charge, and to live with purpose. 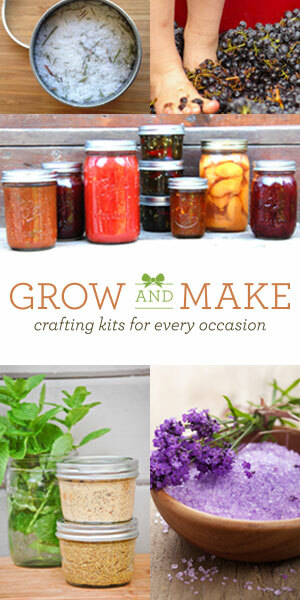 *For those who prefer to have the DVD set and workbook in physical form, the cost is $50 plus $5 shipping and handling. This is the binder mentioned in Video IV - the place where your child will keep track of all the scholarships he wants to apply for and ones that have been completed. The "All About Me" spiral can be kept here, too. First of all, I decided to test the waters with just my 13-year-old who is in eighth grade. I wanted to be familiar with the information myself before using it with my other two children who are in second and fifth grade. Plus, I really wanted to focus on this with my son who is closest to entering highschool. I am glad I chose to do it this way because, in my opinion, the information contained in the online videos and workbook are really too much for my younger children at this point. Before jumping in, I read the 2-page introduction by Denise Ames in which she welcomes you and gives you the instructions you need to complete the program. After that, my son and I started watching the videos together. We watched all of the videos, one per day, before starting the lesson plans which are offered free of charge on the College Common Sense website. The lesson plans are delivered to my inbox weekly, and I forward them to my son. Assignments are broken down by grades: Senior, Freshman - Junior, Middle School, and Elementary. I let him pick and choose some of the ideas to work on or check out. He also researches some of the links provided on the website. 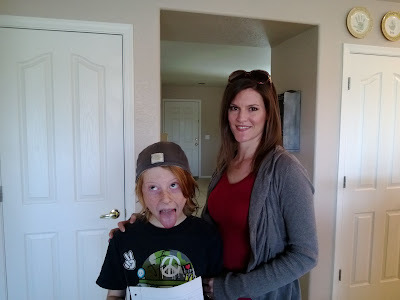 So far, he's written about some of the occupations he might want to have when he grows up, he's watched a few recommended You Tube videos, visited the website of one of the colleges he is interested in attending, taken a short practice SAT test, looked for possible scholarship opportunities, and more. I have to admit, I was a little overwhelmed with all of the information at first. My son was, too. He just felt like so much of the information in the videos was aimed more toward older highschool students. When he first began researching scholarships, he found that he needed an SAT or ACT score in order to fill out most of the ones he looked at. As an eighth grader he doesn't have either of these scores yet. This was somewhat discouraging for him. As for me, College Common Sense has given me a little more confidence about the whole getting-ready-for-college process. Thanks to Denise Ames I don't feel completely clueless anymore. I am glad I have the knowledge contained in these videos and workbook prior to my son becoming a freshman in highschool. So far I have chosen not to involve my younger children in the nitty gritty of this program. My fifth grader isn't all that interested in thinking about college right now, so I don't want to push too hard at this stage. While my 7-year-old daughter loves to talk about her future and shows some interest in becoming a veterinarian, I am just not ready to jump into this program full swing with her either. But when I am, I know I have the tools I need! Overall, I am pleased with College Common Sense and have learned a great deal. The website is a wonderful tool I will continue to use with my son, and I feel much more prepared now than I did a few months ago. I would recommend this program to parents of middle school and/or highschool students who want to be fully prepared for the college experience. Personally, I would only recommend this to younger students and parents who are extremely ambitious and are ready to start thinking about college. Click to read more College Common Sense reviews from the Schoolhouse Review Crew. 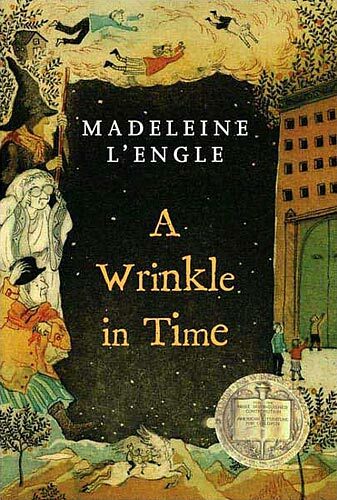 A Wrinkle in Time, by Madeleine L’engle, is an exciting, fast-paced science fiction novel. 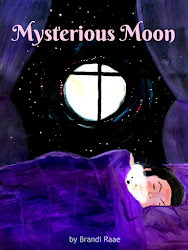 The author runs wild with her vast imagination, creating unique, alien worlds and lovable characters. It is a timeless classic, and it even won the Newbery Medal. Meg Murry hates being different. She isn’t much for school, and the kids are always making fun of her “stupid” baby brother, Charles Wallace. She will soon meet Charles Wallace’s awkward friends, Mrs. Whatsit, Mrs. Who, and Mrs. Which, who will take them and Meg’s new friend, Calvin, on an epic journey through the cosmos in search of their long lost father, a scientist, who disappeared while engaged in secret work. The trio will meet many struggles along the way, such as the Dark Thing and the planet Camazotz. Will Meg succeed in her quest? Will she realize that being different has its strengths? A Wrinkle in Time is a fun and easy read! If you like sci-fi then you’ll probably like this book. I recommend it to kids 9+. This review was written by my 13-year-old son, Mullin. Ever since I saw something similar on Pinterest, I have wanted to make one for my daughter. 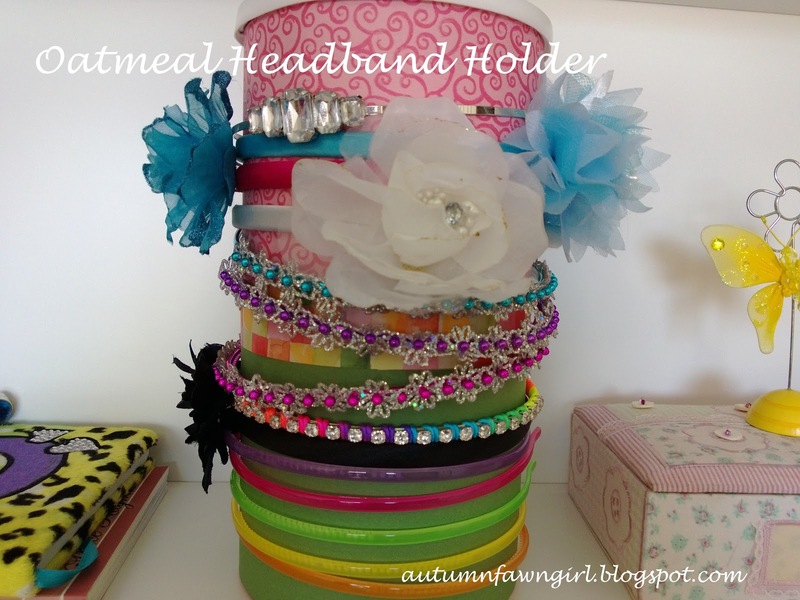 What a cute way to store headbands!! Cut 4 strips about 4" wide from 2 of the colors. So, you will have 2 strips from each color. (1 strip of paper isn't long enough to wrap around the entire cylinder. Cut 2 strips about 1" wide from the third color. You will use this strip for the middle to cover where the other 2 strips of paper overlap. Wrap strips of paper around container and tape to secure in place. I know tape isn't very fancy, but as long as it's in the back you can't even see it. 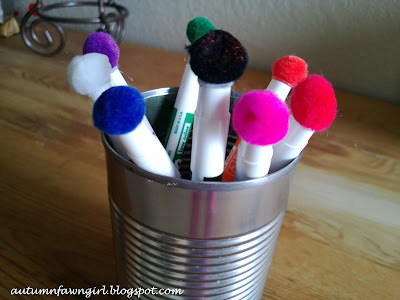 Plus, once the container is full of headbands, you definitely don't notice the tape. I offered to cover the white top with paper then wrap a ribbon around the edge, but my daughter wanted it left alone. Easy for me! She keeps all of her other hair stuff - bows, ponytail holders, barrettes - inside the oatmeal container. Most of the headbands fit perfectly. The one on the very top would just slide right down without the other headbands under it. So, I'd say, for the most part, this headband holder works great. Looks cute, too! Pin It Now! I was disappointed about having to stay home from church with a sick child yesterday. I wanted to be in service, especially during worship. I wanted to be there to watch my hubby play his new guitar! He's been playing the same one for the past 18 years or so. I am sure he could tell you down to the exact day. Truly, I was disappointed, too, that God didn't answer my prayer for my daughter to be completely well by Sunday. She was mostly well but was still coughing too much to be in a classroom full of other kids. Fortunately, God knows me better than I know myself. What I really needed was to stay home. For the past few weeks, I've felt rising tension deep within my spirit. A growing desire for peace and quiet - some much needed alone time. I need to be completely alone every once in a while for a refreshing of mind and soul! Sunday provided a hint of that need for alone time for me. Time in the Word, time spent cleaning, time spent on a cute, easy project with my daughter. I could tell already that a sense of calm was beginning to settle over me. But, I knew I needed more. I don't think we have ever taken the day off of school for President's Day, and I wasn't planning on it for today. BUT, since my hubby is off, I asked him if he would take the kids out of the house for a couple of hours. So, my awesome hubby is giving me the gift of alone time today, and I am very thankful! It's a gorgeous day. The window is open allowing a slight breeze to wander in, and I am breathing in deeply savoring the silence. :) No voices, no drums, no Minecraft music . . . it's wonderful! My daughter had one subject left for the day. As she slid her books across the table, she sighed and said, "Ah, my faaaaavorite subject!" Any guesses as to what that subject happened to be? If you guessed Song School Spanish, you are correct! Classical Academic Press sent my 7-year-old daughter and I their Song School Spanish curriculum which includes one student workbook, a song CD, and a teacher's edition. Song School Spanish is perfect for younger children in grades Kindergarten through third. 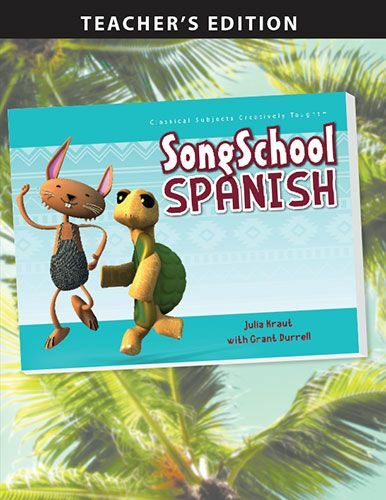 With the help of two animated friends, Tortuga and Conejo, (the tortoise and the hare) children will be gently introduced to Spanish through vocabulary words and phrases, songs and chants, and fun workbook activities and exercises. 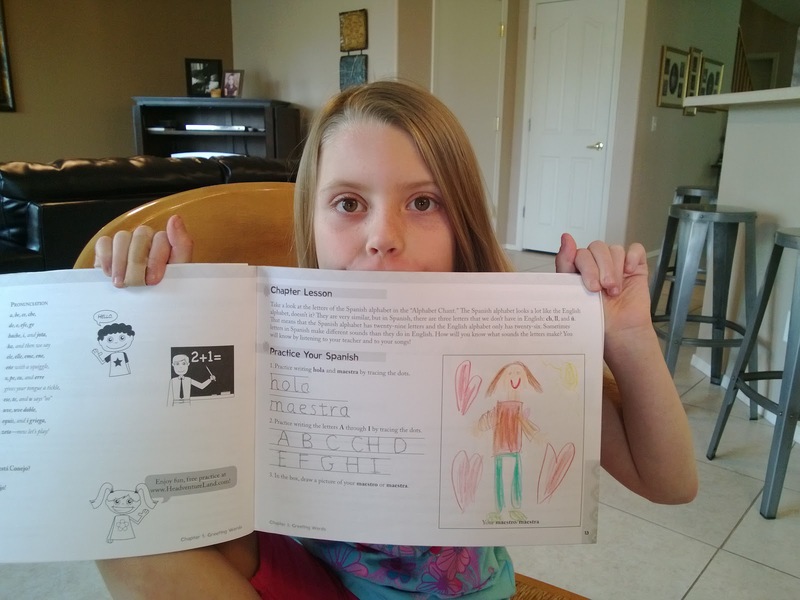 Though this curriculum is not a "full immersion" approach, it has been designed to lay a foundation of strong Spanish vocabulary capitalizing on children's amazing ability for memorization. Also, children will be comfortably introduced to a few Spanish grammar rules such as gender agreement and singular vs. plural in order to prevent frustration when translating short phrases. The student workbook contains 31 simple weekly lessons which includes 6 review chapters. In this course, your child will learn the Spanish alphabet and over 100 everday vocabulary words having to do with common greetings, food, animals, numbers, seasons, weather, family, body parts, and more. Each chapter begins with Words/Phrases to Learn. Except for the lesson on numbers, there are always less than 10 words/phrases to learn, so it's not overwhelming at all. Following words/phrases are chapter songs/chants, workbook pages, and activities. Chapter songs/chants are found on the CD included in the back of the student workbook. There are over 40 songs featuring the vocabulary words/phrases learned in each chapter. The tunes are catchy, and singing along is easy. This is a great way to reinforce what's been taught. Plus, it makes it fun for young children. My daughter likes to march around the living room while singing and chanting her Spanish, and sometimes we even empty the dishwasher together while listening to the CD. Workbook pages and activities include tracing Spanish words and phrases, circling correct words, translating from Spanish to English, drawing pictures, making puppets, matching pictures to correct words, reading stories, and more. Simple, but cute black and white illustrations included throughout the text add appeal. My daughter hasn't complained once about any of the activities. She really enjoys them. The Teacher's Edition contains the complete Song School Spanish student text with answers and extra teacher's notes. It also includes additional activity pages - one activity page for each chapter, two pages for the review chapters, and a four-page, end-of-book review. Answers to these pages are included also. View Teacher's Edition Sample now. Spanish Pronunciation Files: You can hear the Spanish vocabulary words and phrases pronounced correctly by downloading MP3 files on the Song School Spanish product page. I like for my daughter and I to listen to this before we start each new chapter. Extra Songs: In addition to the songs on the CD, you can find more songs to download on the Song School Spanish product page. Ask the Magister/Maestra: If you have questions about the text, you can seek help from other Spanish teachers by clicking the "Ask the Magister" link on the home page under "Important Links." 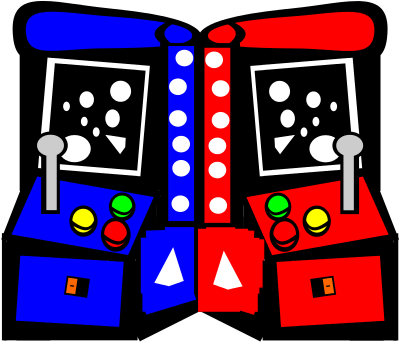 HeadventureLand.com: This is a support website for kids where they can practice what they've learned by playing an online game called FlashDash. Here, kids will be able to review Song School Spanish vocabulary chapter-by-chapter. They can also compete for monthly high scores with other kids from around the world. My daughter loves to visit this site several times a week! Not only does she play FlashDash on a regular basis, but she's watched all of the Tale of Two Princesses Latin videos. She also found over 100 Spanish coloring pages under "Extras." Headventure Land is really a great tool. There is a suggested 3-day schedule in the book, however, because my daughter loves it so much, we do Song School Spanish every day. I like this schedule because it makes the lessons short and sweet. We spend about 10-15 minutes per day on Spanish, and that includes listening to the songs. Usually, my daughter completes an entire chapter in 3-4 days. She is always eager to begin a new lesson. On day one of a new chapter, we listen to the new vocabulary words being pronounced correctly from the Spanish Pronunciation Files I downloaded from the website. We also listen to the chapter songs/chants. For the next two to three days, my daughter completes all of the activities within the chapter. Because she is in second grade, she can do the workbook pages on her own. A child in Kindergarten or first grade might need more help, especially if he/she can't read yet. My daughter also likes to listen to the CD everyday. She'll sometimes listen to all the songs she's learned so far or pick and choose her favorites. Before moving on to the next lesson, I make sure she knows all of her vocabulary words and phrases. She is already almost finished with the 6th lesson. This is definitely a subject we will continue for the rest of the school year! 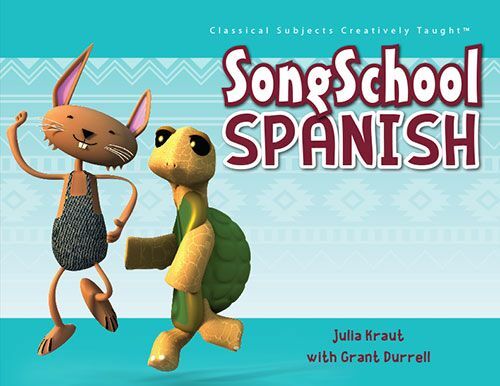 I am pleased to be able to highly recommend Song School Spanish to parents who want to give their elementary aged children a strong foundation in Spanish basics without becoming overwhelmed by too many rules. It's more about having fun while learning and building within your child the desire to learn more. I think I've met my DOOM! And my buddy got smashed. I start to get sweaty and stiff. And I'm not having any fun. Good thing it's just a video game! 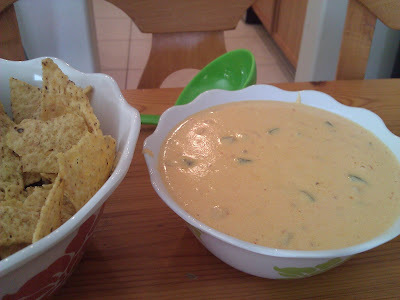 This post is dedicated to my brother-in-law who asked me for my homemade queso dip. 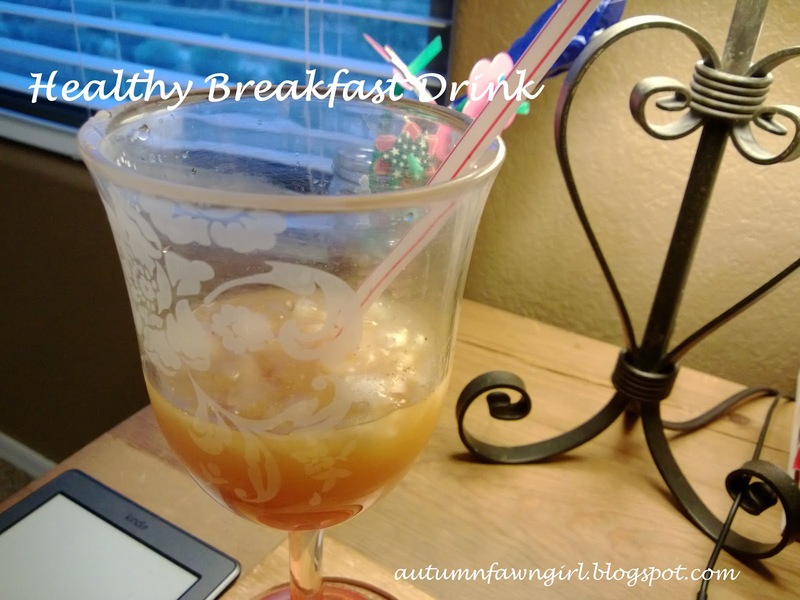 :) Why not turn it into a blog post and share with everyone, right?! * Melt butter in pan over med. heat. 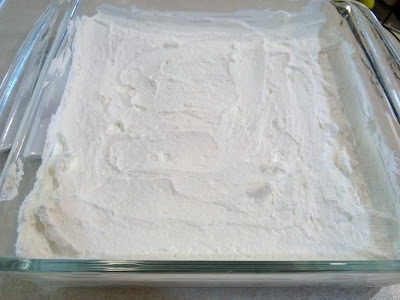 Stir in flour until you have a smooth paste. Stir in the half and half and cook over med. heat until mixture begins to thicken. (Stir constantly.) Blend in the cheddar cheese and stir until completely melted. Add chopped jalapenos, sour cream, salsa, and spices and heat through, stirring occasionally. I usually sprinkle a little more chili powder over the queso once it's ready to serve. I love Valentine's Day and the celebration of love! The pretty (and very girly) colors - pinks, reds, whites. All the beautiful candy and chocolate! And, of course, hearts! What girl doesn't like hearts, right? 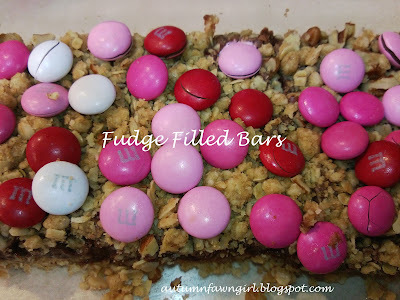 Here I've included some of our favorite Valentine stuff. At the very end of this post, you can link up your favorite Valentine goodies as well - recipes, crafts, decor, books - anything related to Valentine's Day! 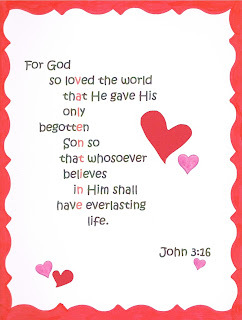 What better way to celebrate love than to give glory and honor to the ONE who is LOVE. Inspired by this photo on Pinterest, I made this For God So Loved the World Valentine picture as part of our Valentine decor. I was inspired by a photo on Pinterest, of course, but I made my whipped cream from heavy whipping cream instead of Cool Whip. 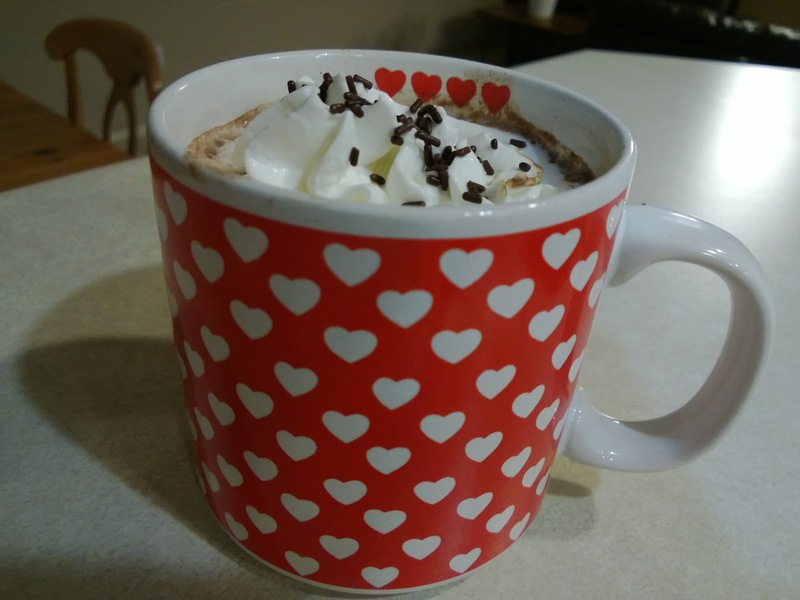 *Mix heavy whipping cream and sugar on high speed for a few minutes, until stiff and fluffy. 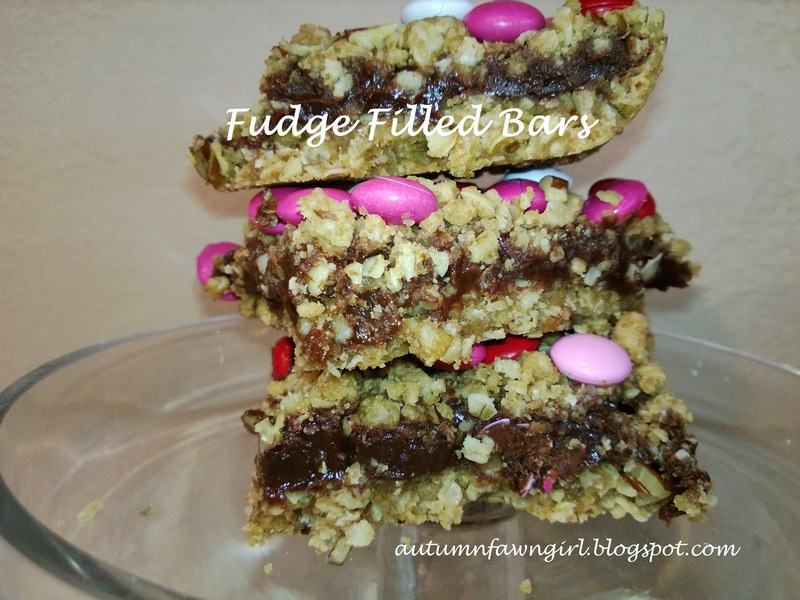 Spread mixture into pan and freeze. 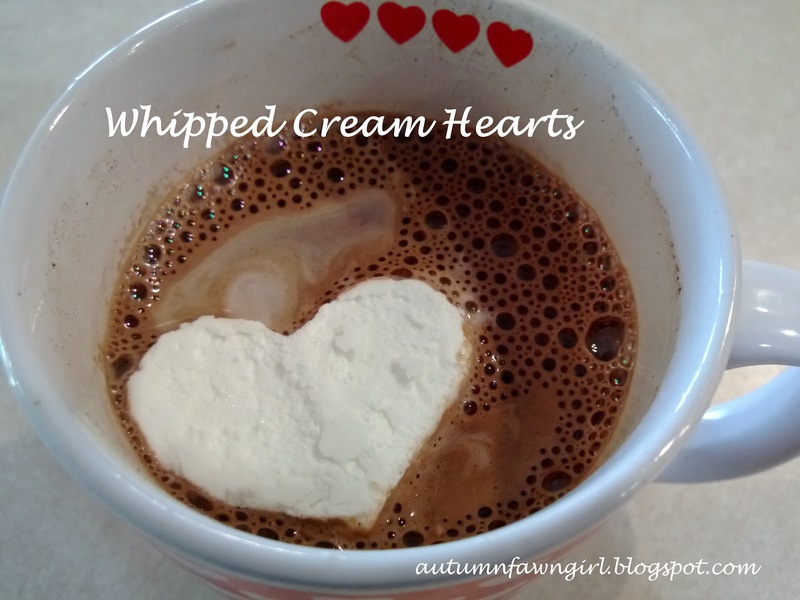 When frozen, cut out heart shapes with a cookie cutter. 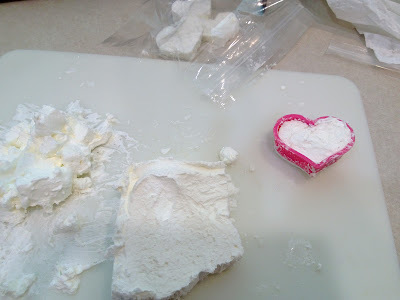 Store hearts in freezer bags until ready to use. 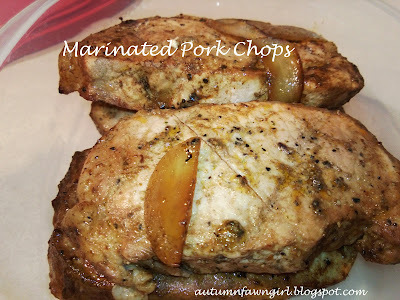 Tip: It would probably work out better to use a baking sheet instead of a glass 9x9 pan like I did. My frozen whipped cream was so thick I had trouble cutting hearts with my plastic cookie cutter. I ended up having to lift blocks of the frozen whipped cream out of the pan with a spatula in order to cut out hearts on a cutting board. I recently finished working on a frame collage for our living room wall. As I was working on it, I decided I wanted to add a wall letter for our family's last name. I was running out of money, so I braved my crafty side. I found a very inexpensive (under $3, I think) cardboard letter T at Hobby Lobby. 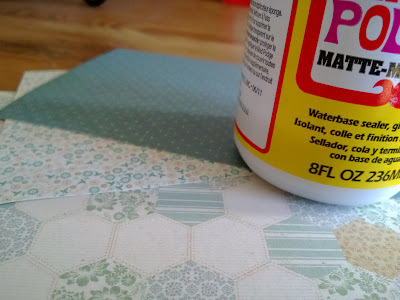 I picked out some scrapbook paper that I already had. I traced the cardboard T onto the scrapbook paper and cut it out. I cut out more strips of paper for the sides of the T as well. I used Matte finish Modge Podge (also already had) to glue the scrapbook paper onto the T.
Because my last name begins with a T, it was fairly easy to glue strips of paper to the sides. 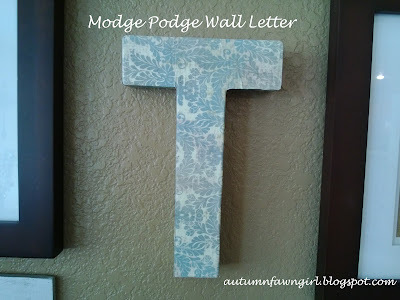 For more complicated letters, it might work better to spray paint the letter and then add scrapbook paper. Or, you could leave the sides alone for a more rustic look perhaps? What my arrangement looked like on the floor before it went up on the wall. Not revealing what it looks like on the wall yet since I may move some things around. 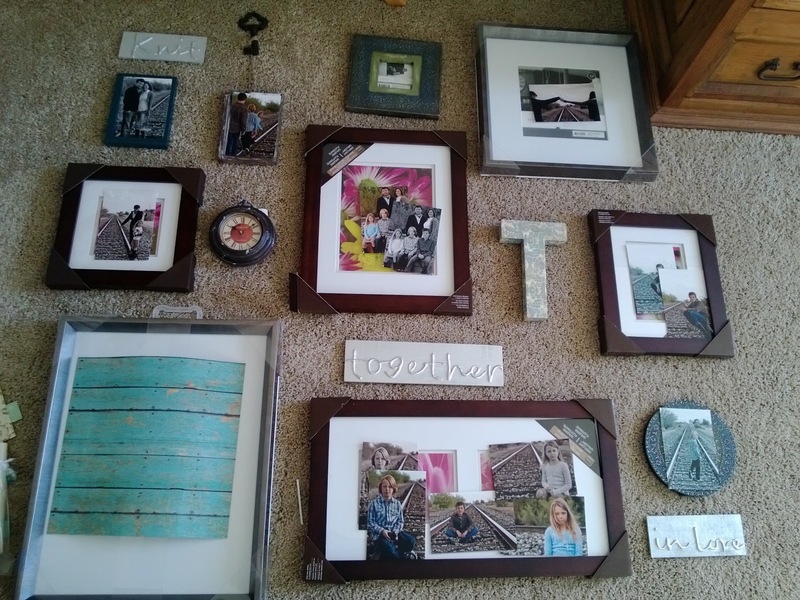 And I still need to put the family pictures in the frames! Wow. I can't believe it's been over 2 years since my first Do Hard Things Date with Mullin. The time really is flying by so fast with these kids of mine. 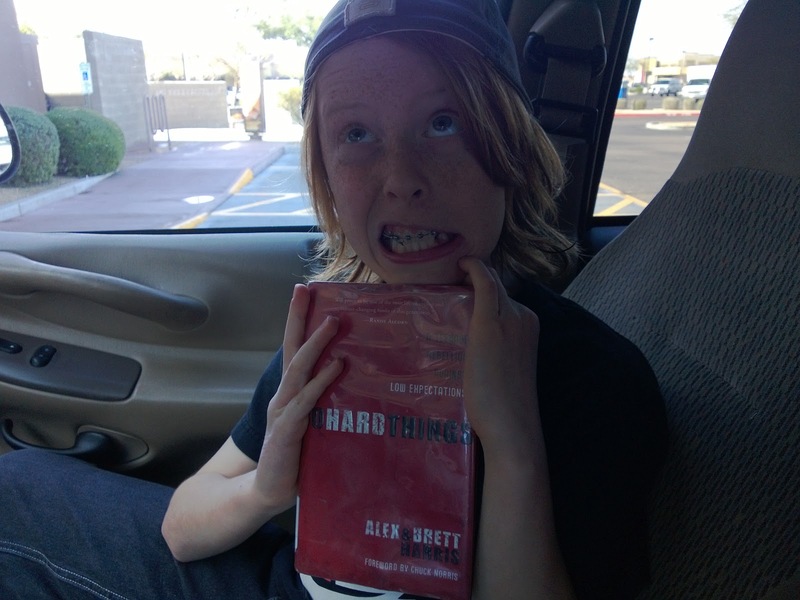 Lincoln turned 11 in January, so it was his turn to read the book, Do Hard Things by Alex and Brett Harris. On the way to Wendy's we discussed what "rebelution" means and how he felt about the book. He says that doing the everyday "small" hard things is what spoke to him the most. Despite all of his silly faces in every single picture we ever take, he really is so mature for his age. I am so proud of this boy!